With almost a third of its rugged mobile device range now dedicated to the handheld market and the recent appointment of ScanSource as a European specialist distributor, Panasonic sights are now firmly set on expanding its success from the rugged notebook and tablet markets to this sector. Panasonic has launched the dedicated handheld channel programme, called Edge, designed to support and incentivise value-added resellers (VARs) in the sector. The Edge programme will offer resellers dedicated marketing, sales and technical support in return for meeting qualification criteria. Panasonic is particularly interested in recruiting handheld specialist resellers in the major European territories to complement its initial list of partners and will be working with its new Distributor, ScanSource, to identify and enrol them. Resellers will have access to solutions support and devices such as the Panasonic Toughpad FZ-F1 & FZ-N1 handheld tablets, with their unique angled rear barcode reader to protect against repetitive strain and enhance user productivity. These tough, yet ergonomic, devices have already begun to establish a reputation as the mobile handheld device of choice for workers in industries such as transportation and logistics, retail and manufacturing. Edge has been built from the ground up to offer dedicated support to resellers and Independent Software Vendors who supply fully-featured rugged handheld solutions to specialist vertical markets such as field service, supply chain and proof of delivery and who can commit to the programme criteria. 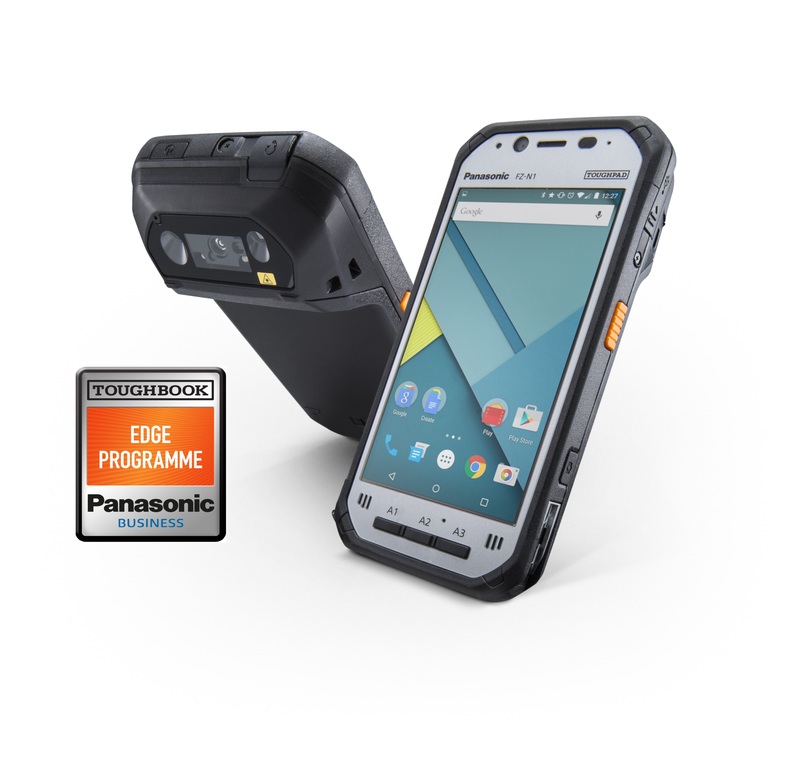 The Edge Programme is designed around the current and future class-leading 5” rugged handhelds such as the FZ-F1 and FZ-N1 and their associated peripherals and warranty packs. All products are available through ScanSource Europe, the leading value added trade-only distributor.